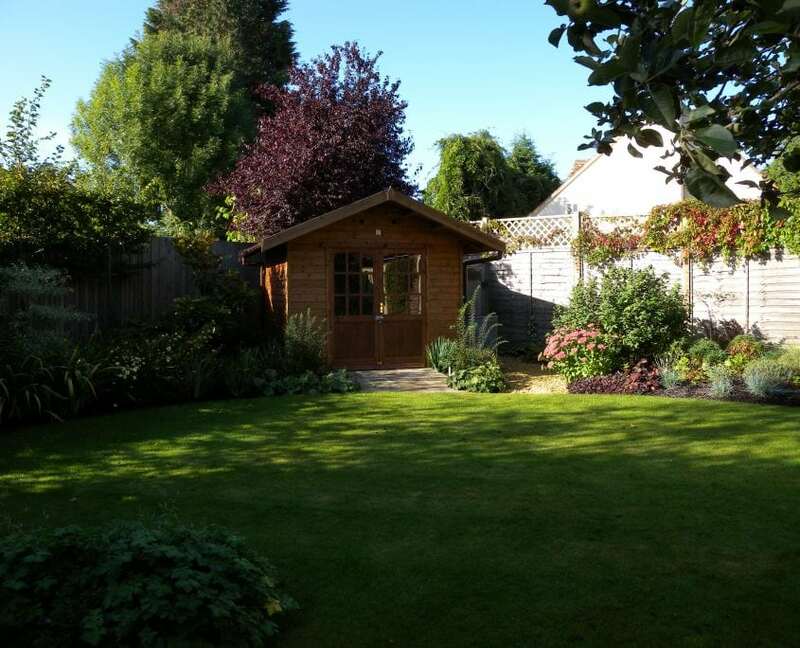 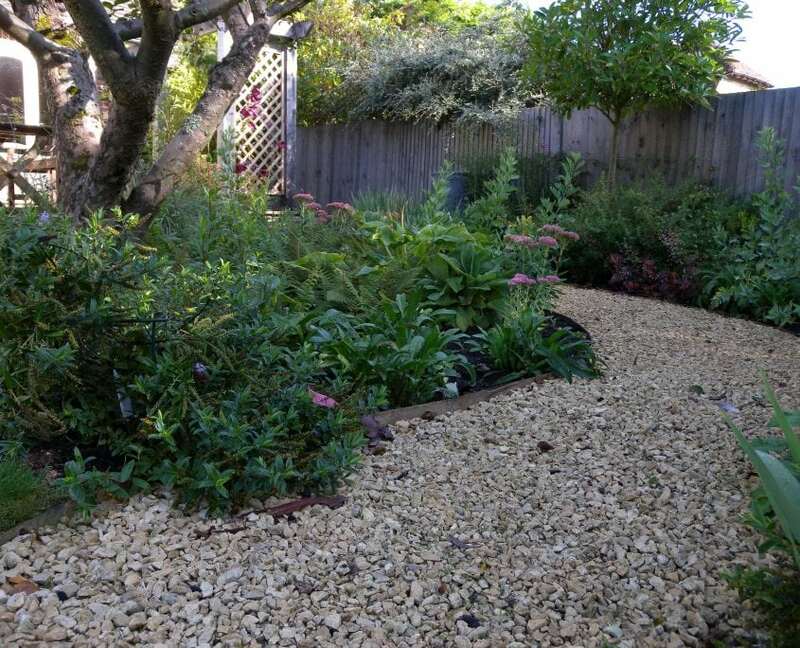 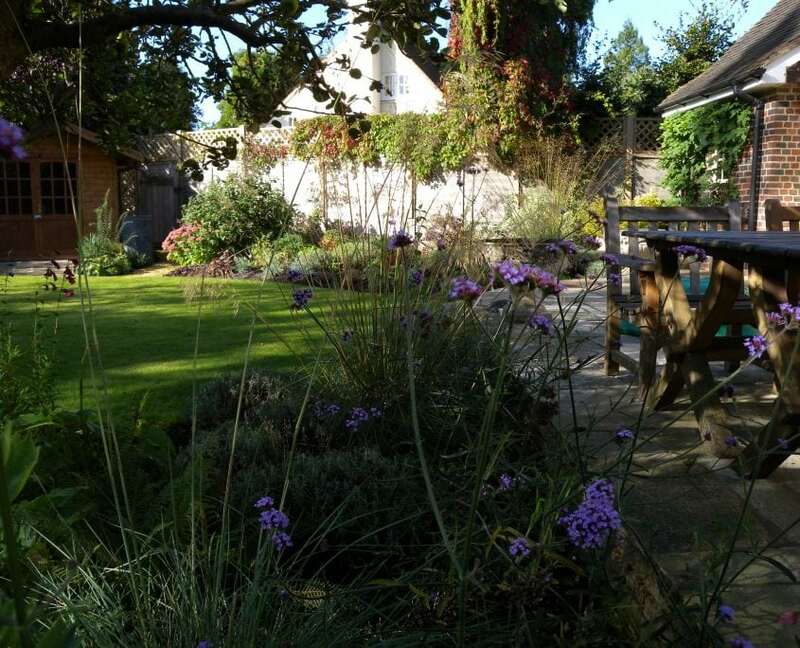 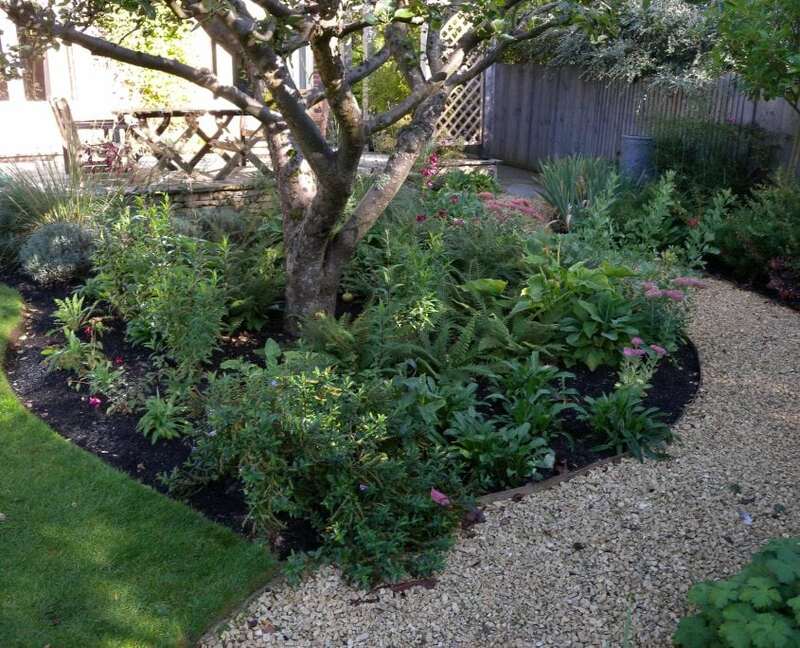 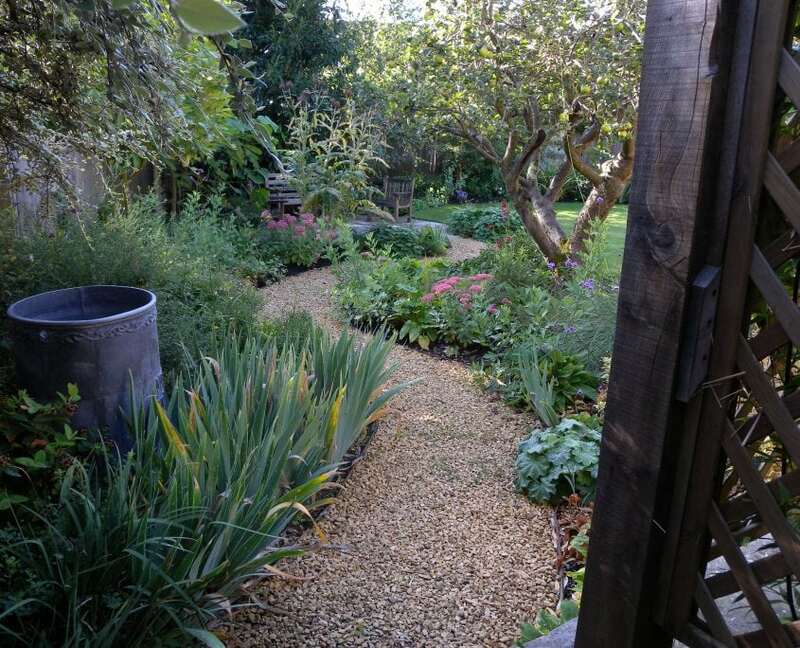 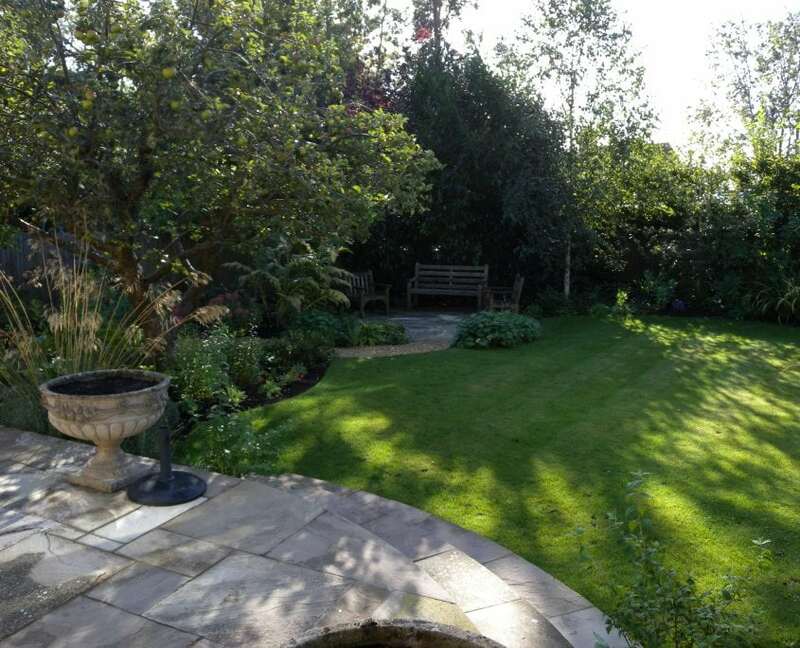 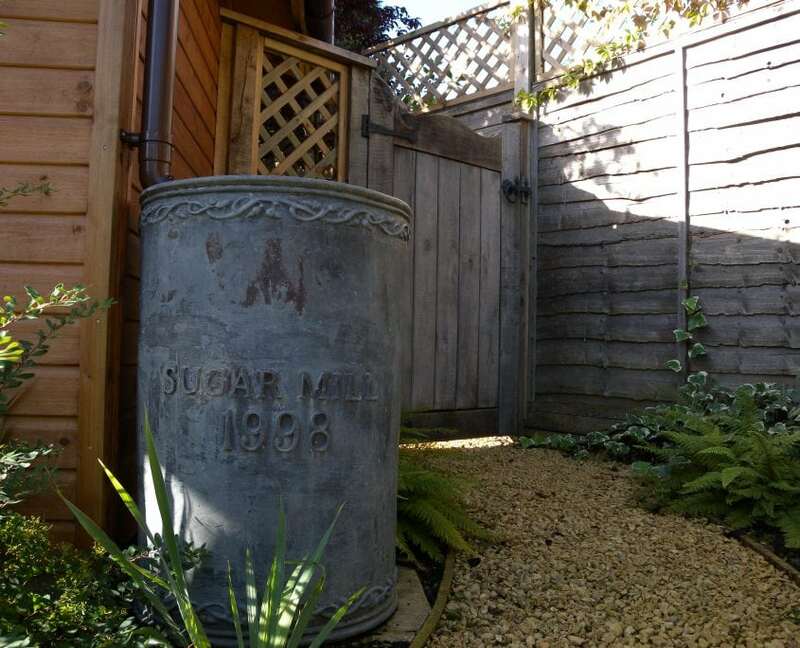 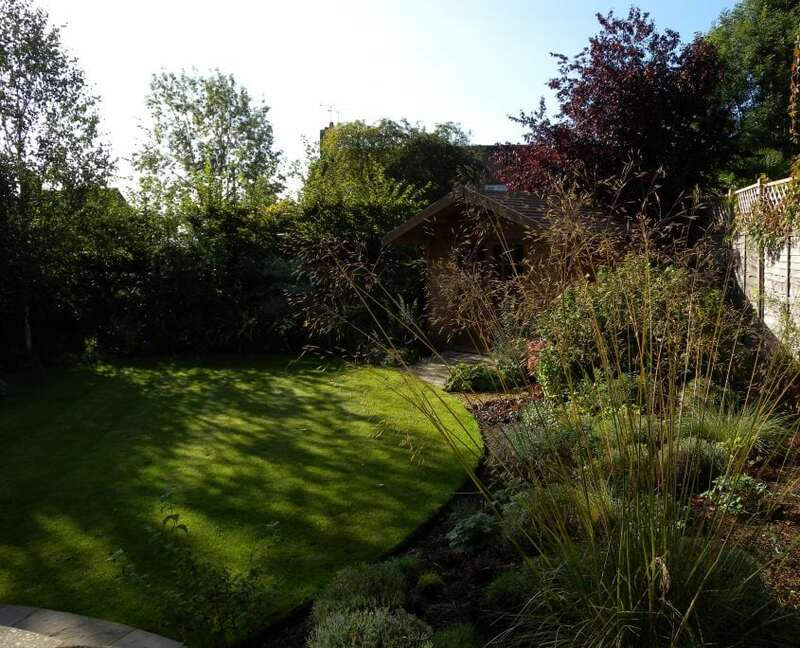 With this small garden in East Sussex the client brief was to create garden that gave both a feeling of openness as well as areas of private seclusion. 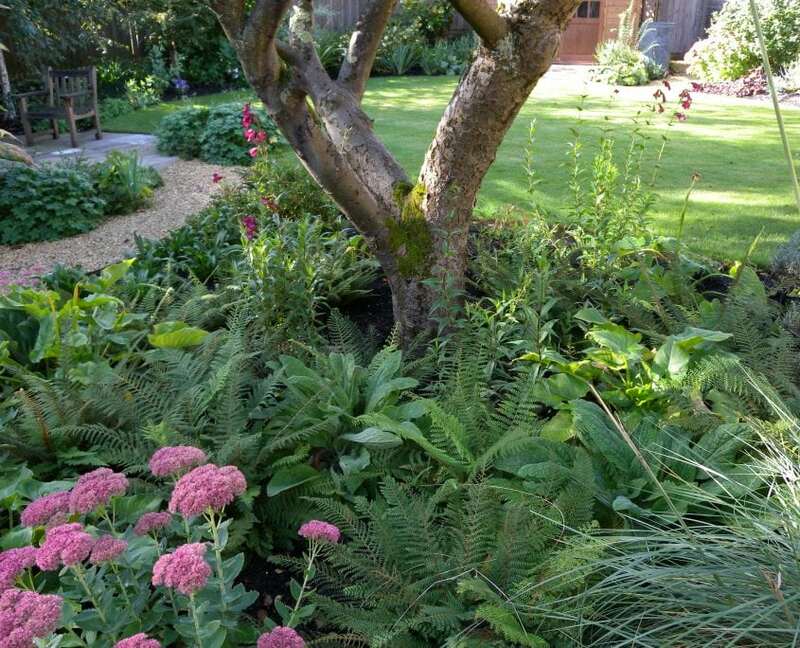 Simple, elegant design and informal, layered planting come together to create a romantic cottage garden. 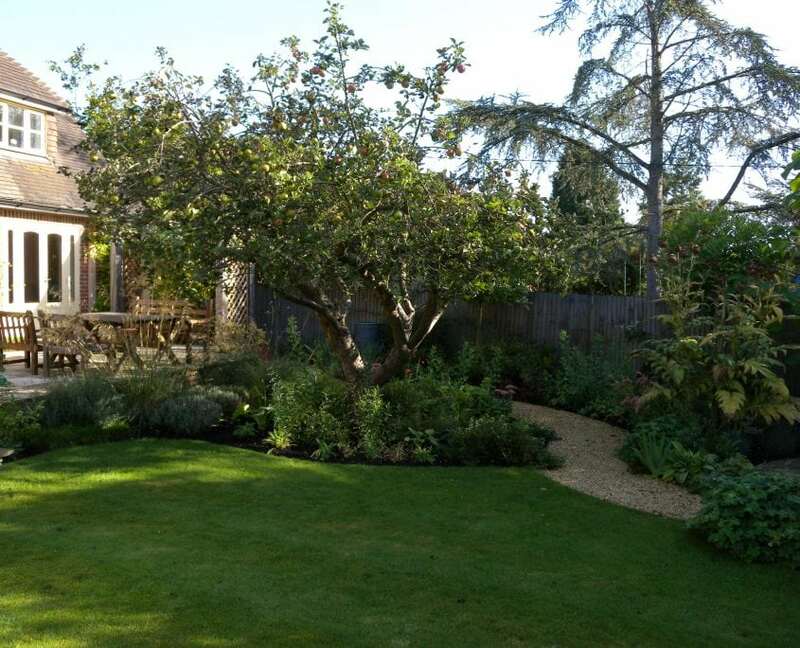 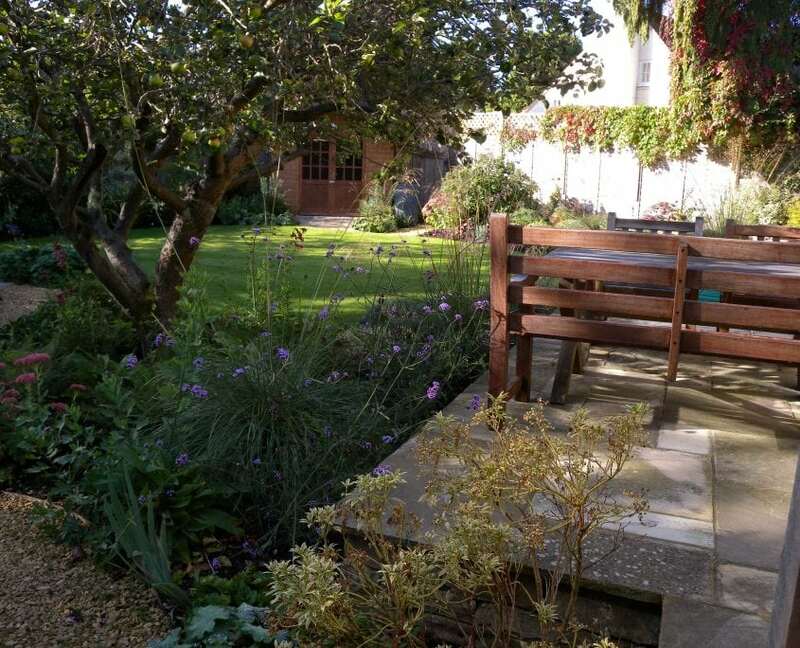 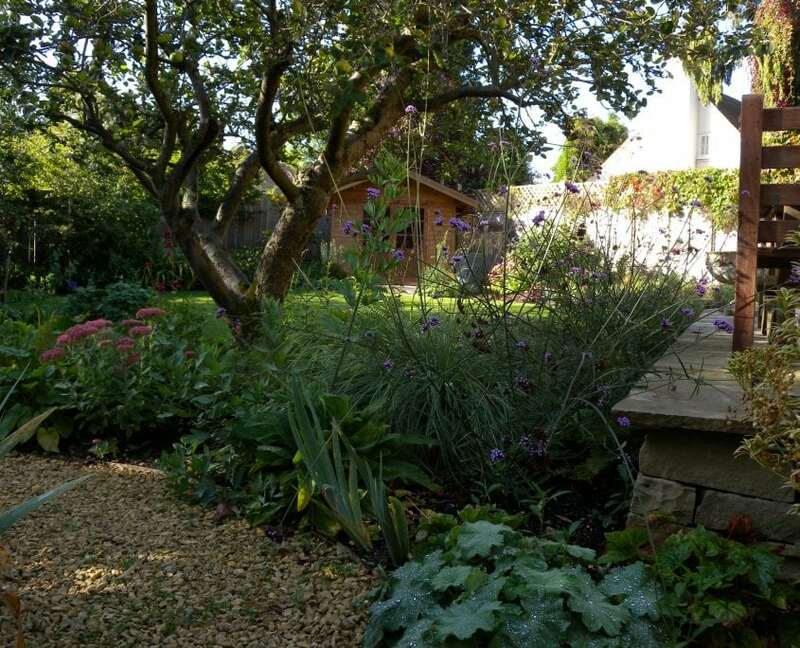 Geraniums and iris spill over a winding gravel path invites you into the garden to reveal a charming gnarled apple tree and seating areas tucked amongst the border planting infusing the space with a touch of fairy-tale magic. 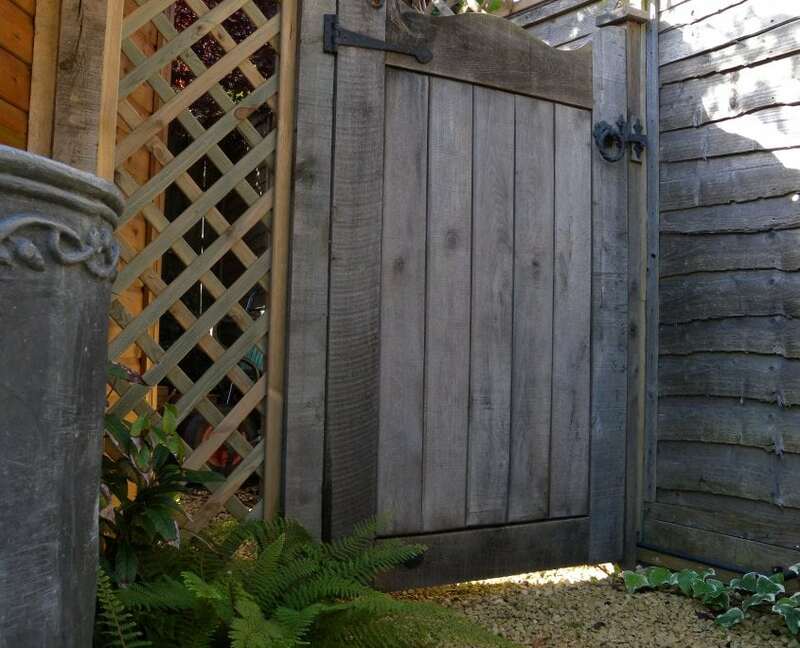 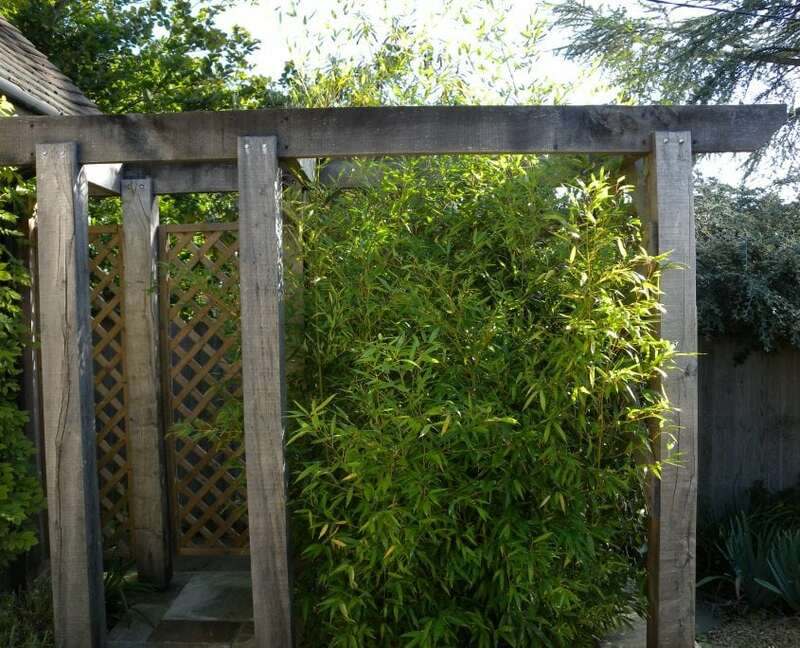 No detail has been neglected – the bespoke garden gate has been handcrafted from seasoned oak.